The new year has dawned, and the time is right to head back to Napa Valley for some uncrowded and less expensive relaxation and fun. Although the vines are dormant in the early months of the year, the communities, wineries, and businesses indeed are not. Wintertime is the perfect opportunity to visit the area at lower cost with shorter lines to casually enjoy wine tastings, visits to the spa, musical performances, and even a leisurely Napa hot air balloon ride excursion. Making a reservation for any wine tasting experience is always preferred. However, many wineries offer tastings during the winter for “walk-ins.”, while most wineries have cut the cost of tastings during the winter months. Don’t forget you will have plenty of time to browse the wineries after a memorable photo-op experience aboard your professionally piloted Napa hot air balloon ride above the Valley. A most extraordinary deal, the 2019 Wine Passport costs only $29 for two to access 25 participating locations including Rutherford Ranch, Tamber Bey, Andretti Winery, and others. The Passport is also good for discounted wine purchases. Following a relaxing Napa hot air balloon ride, if you haven’t gotten your quota of truffles during the past year, come to Napa Valley to learn how some of the world’s most talented chefs infuse truffles into their culinary art. The event will be held at St. Supery Estate Vineyards and Winery on Saturday the 19th, and then onto Hall Vineyards for the Sunday program. Learn the science of truffles, how to use them, and even see how those talented truffle-hunting dogs are trained. Lunch and wine pairings are included. Winter is the time of year the hotels when even the most exclusive are offering special deals for visitors. As with wine tasting and other events, a Napa hot air balloon ride in the winter offers an unmistakable advantage for visitors to enjoy the full Napa Valley experience without crowds. 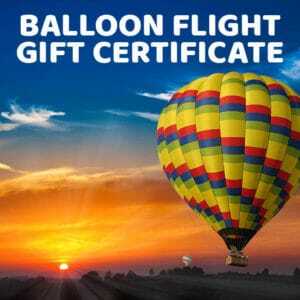 Groups or couples can make reservations for a Napa hot air balloon ride, or buy gift certificates for later for their Napa hot air balloon ride experiences at the Balloons Above the Valley website or by phoning +1-800-464-6824.